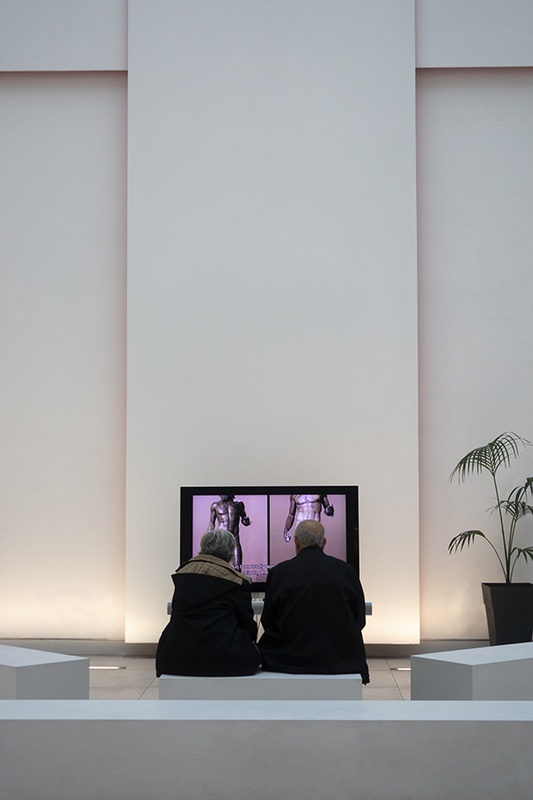 I photographed a couple watching an informational video about the Riace bronzes, also called the Riace Warriors. The two, full-size, Greek bronzes of naked bearded warriors, cast about 460–450 BC were found in the sea near Riace in 1972. The Bronzes are housed in this museum.